We’ll “game” the thought, to bring everyone back from opacity to transparency. The Communists, Marxists, Leftists, Progressives, Liberals, Democrats, and their ilk deliberately try to disguise the true objectives as outlined in the Planks of the Communist Party…passing themselves off as “middle-ground” in their stances. 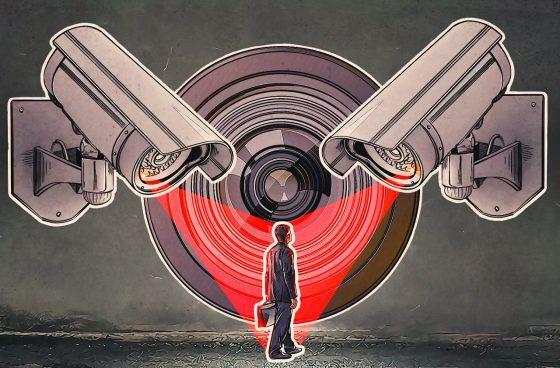 By denigrating the concept of an imminent surveillance state and ridiculing it, they draw conservatives who are still undecided (“fringe elements”) out of being proponents of the idea…further weakening and obfuscating people’s awareness. The movement of the groups mentioned never ceases: It hasn’t ceased with the fall of the Berlin Wall and subsequent reunification of Germany in 1990, nor the fall of the Soviet Union…more a “restructuring” than a fall…in 1992. The Communists are alive and well, operating within the United States at the lowest levels of society, and at the highest levels of government. We’ll stay with “Communists” as the label, as they are the end-state and will purge all the others who aren’t in complete lock step with them. They are Communists. For that last paraphrase, thank David Petraeus... former head of the CIA (in name only) yet without the technical alacrity to avoid the very thing he lauded... and hence, his downfall via Paula Bridewell. Thanks, Dave, for your erstwhile contribution to crafting the surveillance state. Dave serves as the prime example: no matter how much of a “big hitter” toward the NWO (New World Order) a globalist or establishmentarian one is, they are always expendable. AUSTIN, Texas (AP) — The suspected Austin bomber is dead after terrorizing Texas’ capital city for three weeks. And in the end the manhunt wasn’t cracked by hundreds of phoned-in tips, the big pot of reward money or police pleading to the bomber through TV. One of the largest bombing investigations in the U.S. since the Boston Marathon attacks in 2013 came to an intense close early Wednesday when authorities say they moved in on Mark Anthony Conditt at an interstate hotel. Austin Police Chief Brian Manley said Conditt blew himself up after running his sport utility vehicle into a ditch. Conditt had been careful to avoid cameras before entering a FedEx store in southwest Austin this week disguised in a blond wig and gloves, said U.S. House Homeland Security chairman Michael McCaul. The Austin congressman had been briefed by police, the FBI and the U.S. Bureau of Alcohol, Tobacco, Firearms and Explosives. McCaul said going into the store was Conditt’s “fatal mistake.” He said authorities previously had leads on a red truck and that the surveillance video from the FedEx store — where Conditt is believed to have dropped off an explosive package destined for an Austin address — allowed investigators to identify him and the truck. At the FedEx store, McCaul said investigators got from surveillance the truck license plate that linked the vehicle to Conditt, which in turn gave authorities a cellphone number they could track. McCaul said Conditt had powered down his phone for “quite some time” but that police closed in when he switched it back on. “He turned it on, it pinged, and then the chased ensued,” McCaul said. Abbott said police were able to closely monitor Conditt and his movements for about 24 hours before his death. The governor said the phone number was used to tie Conditt to bombing sites around Austin. “The suspect’s cellphone number showed up at each of the bombing sites as well as some key locations that helped them connect him to the crime,” Abbott said. Authorities say they also tracked down Conditt, a 23-year-old unemployed college dropout, through witness accounts and other purchases, including at a Home Depot where McCaul said the suspect bought nails and other bomb-making materials. Abbott said Conditt’s purchases at the Home Depot also included five “CHILDREN AT PLAY” signs, one of which was used to rig a tripwire that was set off by two men Sunday in a southwest Austin neighborhood. One of them was walking and the other was riding a bike. William Grote told The Associated Press that his grandson was one of the victims and had nails embedded in his legs from Sunday’s explosion. The batteries to power the bomb were purchased through the internet, McCaul said. The initial bomber profile sketched out by FBI behavioral scientists was that he was most likely a white male, McCaul said. And while that part was right, the congressman said, a full psychological profile won’t come together until investigators have time to comb through Conditt’s writings and social media posts. Obviously, someone made a big mistake in revealing this information to the stultified, oblivious public... that self-same public of “We the People” that has the right to know, and yet doesn’t understand what is happening. Worse: The public doesn’t care what’s happening. The cellular telephone is nothing more than a tracking device…as mentioned, it “pings” its position and gives away the location of the owner…along with all of his vital information in the file… every four seconds. The cell phone’s location is tied into the location of every camera, public and private that has a tie-in to the CCTV system monitored by law enforcement in the fusion centers…from the Happy Burger parking lot cameras to the cameras mounted at the intersections in cities, towns, and suburbs. As the happy cell phone passes these locations, the movement is tracked in real time, and recorded. Granted, they had a suspect, but they can review all of the cameras at any business at any given time…to show what Joe the Plumber-turned-bomber may be purchasing at the friendly store…and they can tie that film in with real-time with the cell phone. The vehicle is also the “buddy” of the police and the surveillance establishment. They take pictures and film of the license plate, the car, and glimpses of Joe the Plumber driving it…corroborated by the happy, ever-pinging cellular telephone (the tracking device). All this data for everyone’s movements is recorded, catalogued, and stored…stored away for an indefinite period of time (forever) until the information is needed as evidence or in an investigation. Investigation! Doesn’t that sound exciting? Guess what? Everyone is being investigated, and all of the data on everyone is kept. Purchases! Everybody has to buy things, stuff, etc. Every time you pull up to the gas pump, the car is photographed. The POS (point of sale) at the register tabulates and inventories everything, tying it in to the gas pump, with a picture of Joe and whatever form of fiat he used to pay for the gas and bag of chips. Purchases track in real time, access whatever form of payment you use, tying you in with others…if you use your spouse’s credit card, for example. Cops have license plate/tag readers that can read hundreds of different plates, categorizing all of them in accordance with sensitive data that may have nothing to do with driving upon the roads or their record with the vehicle. Every Internet search, every purchase, every query, every e-mail is saved and read/tabulated into the overall matrix that assesses the potential for an individual to be “harmful” and stored…to be matched against the subject’s behavior and movements at a later date. Systems are already in place that analyze keystrokes for the comparison and narrowing down of who the typist is. Every library sign-out…film, music, or book…is saved and kept for future reference. Biometrics are making the “fingerprint” even more specific…with eye to eye distances, ear shapes, and gaits measured. Any exposed portion of the skin, and the movement and function of the limbs is analyzed and recorded. Every piece of mail is scanned to save sender and recipient’s addresses and (of course) purchases are recorded within the company and matched against what is sent out and to whom. Satellites can target and surveil in real time and tie in to all of the little devices just mentioned. Association: when you’re on your laptop, and here come Smiling Sam and Brother Bob, each with pinging cell phones…letting the authorities know that in that moment of time (Whitney Houston’s “One Moment in Time”) Sam and Bob were right in front of you. Later they can haul both of them in to corroborate that you were on your laptop in front of HappyBurger at whatever date or time they have on record. This excerpt shows that all of these items are in place. Yes, they are surveilling you…are watching all of us. The surveillance is not ubiquitous yet. Not yet. It will be, and soon. They utilized every feature mentioned above to find the bomber. Great. Society has triumphed, and the mad bomber has met his end. But has society really triumphed? That article gives you insight into how the cage is almost completed…the construction is just about finished. What requires further thought is what they will do with this surveillance once it is in place and ubiquitous. Just a few further thoughts for your consideration. You may want to watch what you place into your e-mails and comments. There are techies in the Puzzle Palace and at Ft. Meade whose function is identifying the commenters. Don’t place anything on the Internet that can come back and bite you later. The most effective means of exchange are not on the Internet when it comes to information. Blogs, writers, and commenters have already been “marginalized” and their effectiveness diminished because it is an open source. Your true effectiveness in getting things done is at the “grass roots” level…locally, in small groups for discussion. Your “tool of transmission” is a manual typewriter. Need copies? Get back to Carbon paper. There won’t be a recording of what you copied at your FriendlyCopy center…the one with your information in real-time, right under the eye of the happy surveillance camera in the corner. The one that superficially is to make sure you don’t take more than 1 or 2 paper clips…but manages to send the fusion centers every bit of data they need to match up their culprit (the copier) to the scene of the crime. They’ll also match up his credit card at the register, tally up his total purchases and copies over a period of time, and get plenty of information as it films him walking through the store and out the door. Bottom line: we’re all “guilty” according to laws they haven’t even written yet. It is all about building a case against the average citizen. If you’re not the wolves, then you’re one of the cattle, in their eyes. It will become worse. Much, much worse. If you doubt it and do not take necessary precautions, you may find out it exists when they come knocking on the door. It may already be too late, and their song is “We’ve Only Just Begun,” by Karen Carpenter…. but not to smile. They’ve been doing that for years, as they have taken our taxes to craft the very cages that are almost completed. The next step? Not hard to figure out, and it has happened before…as history repeats itself. Think “Solzhenitsyn,” and think of tomorrow.